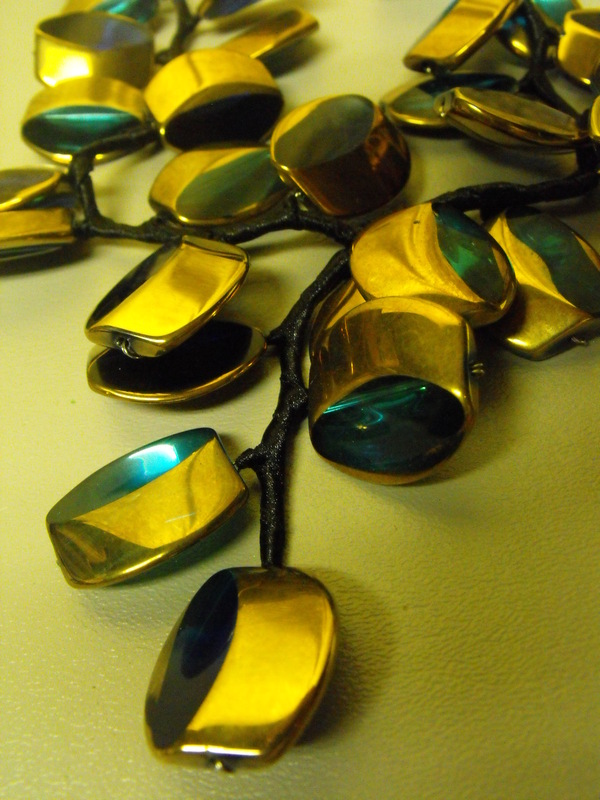 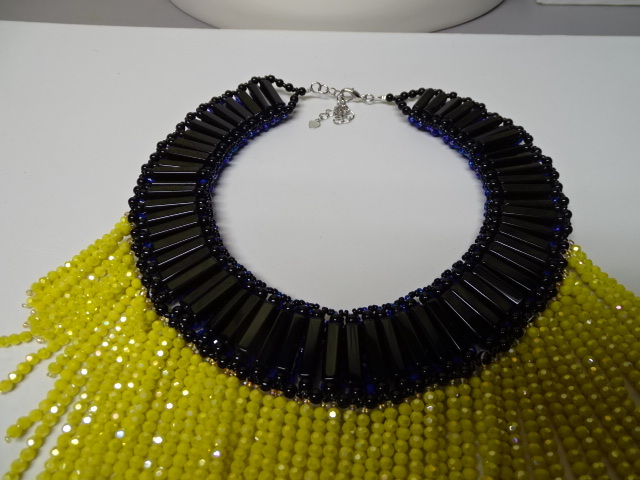 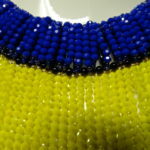 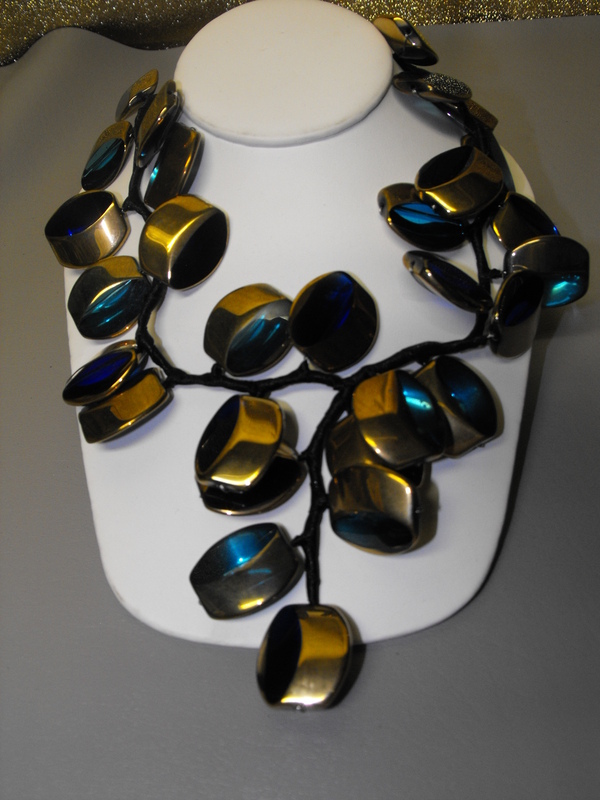 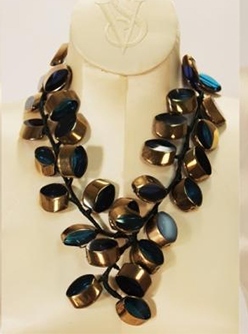 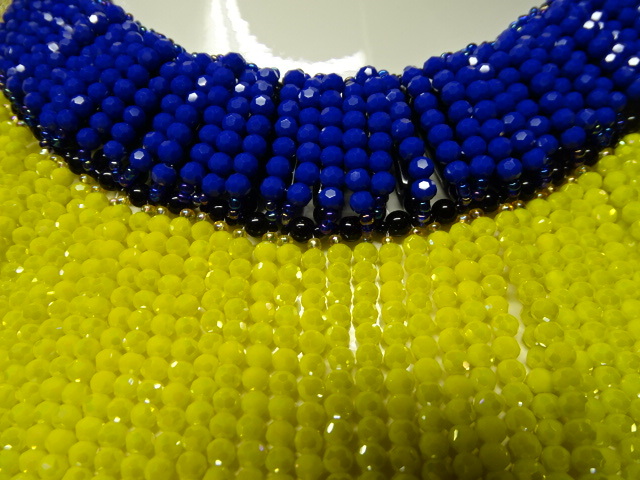 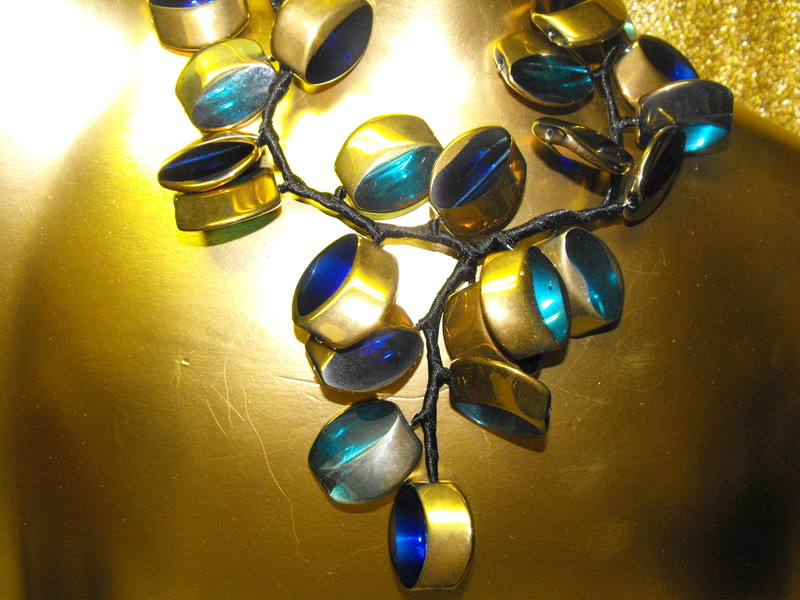 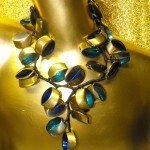 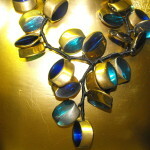 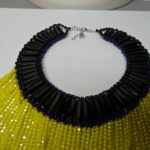 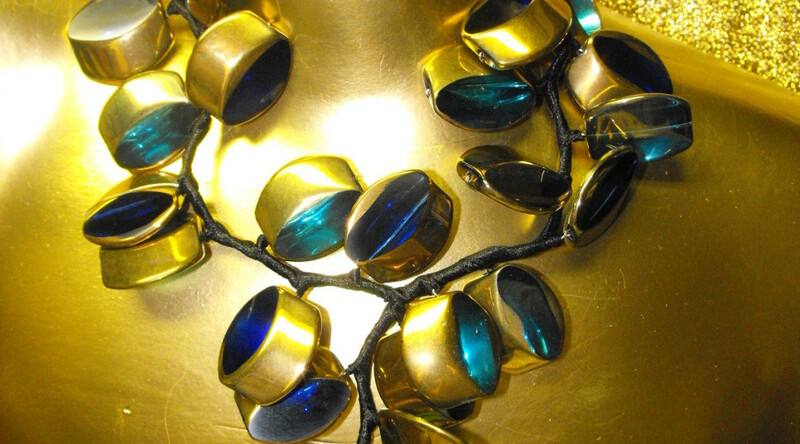 We think this necklace makes the 1950’s come alive again. 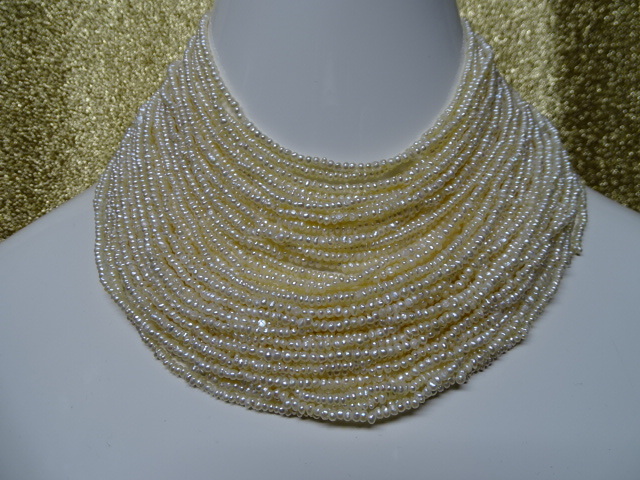 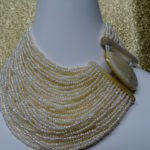 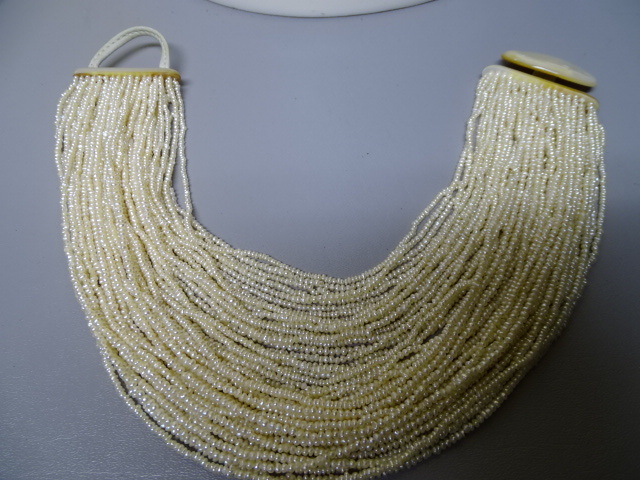 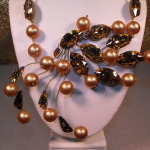 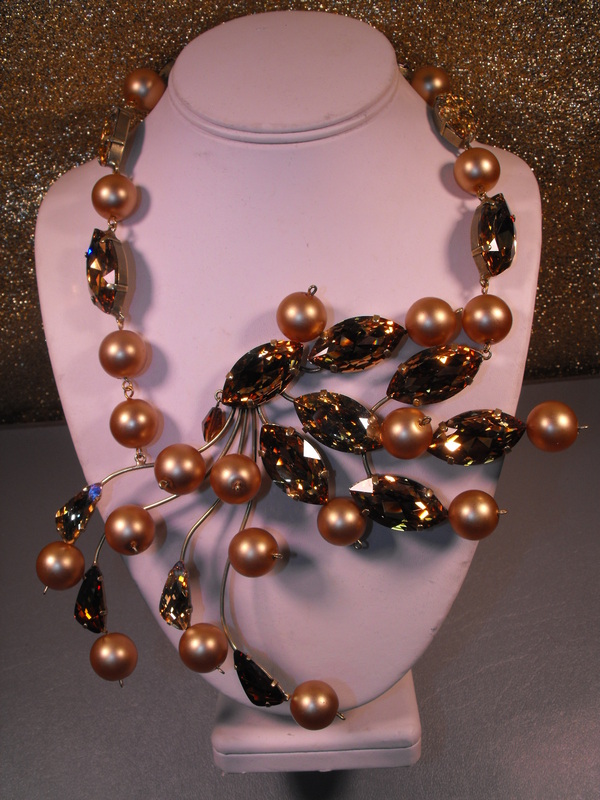 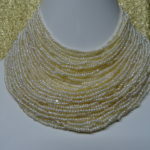 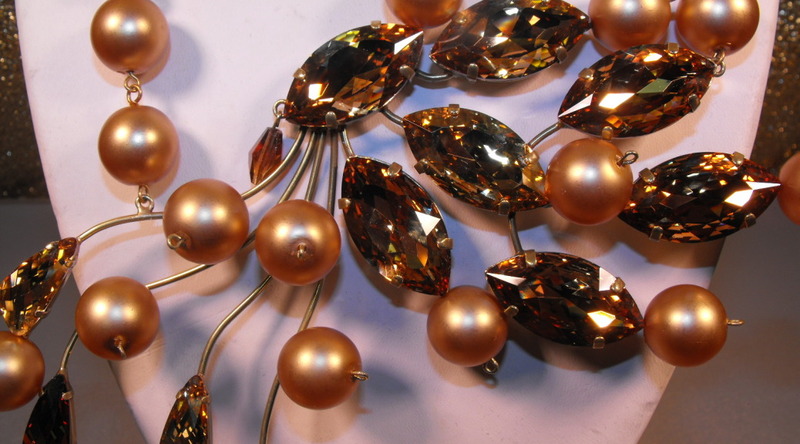 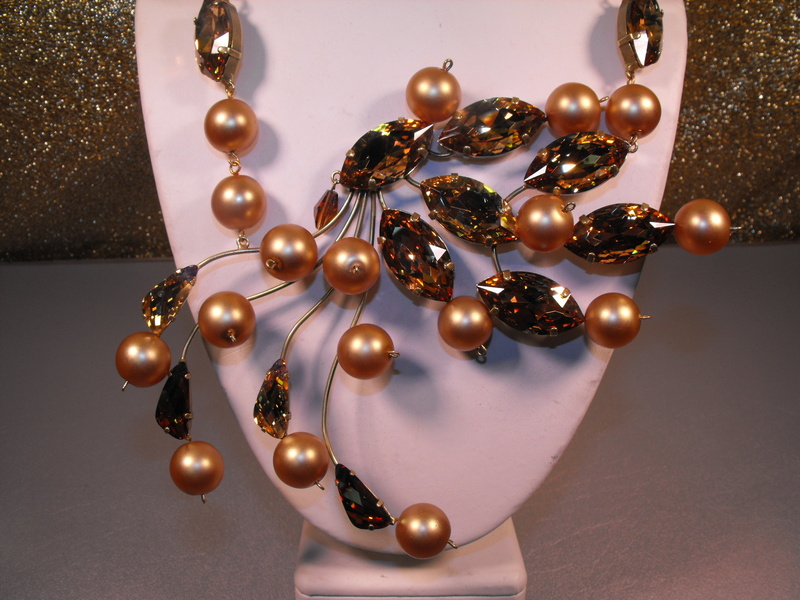 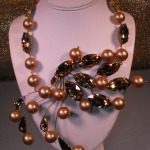 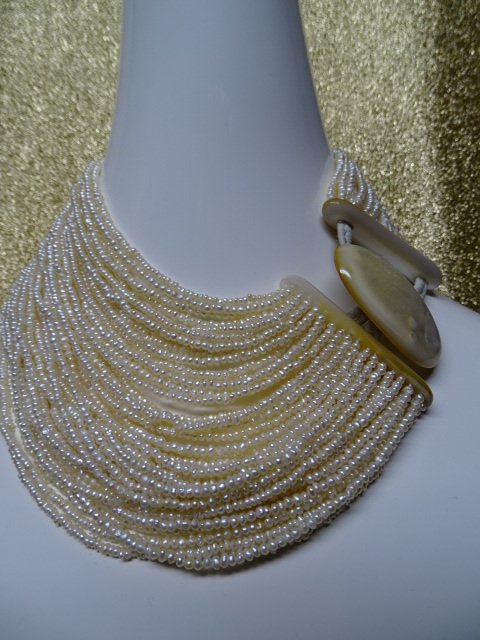 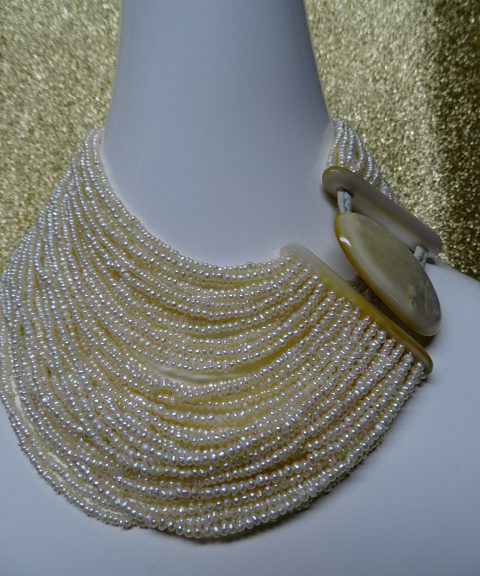 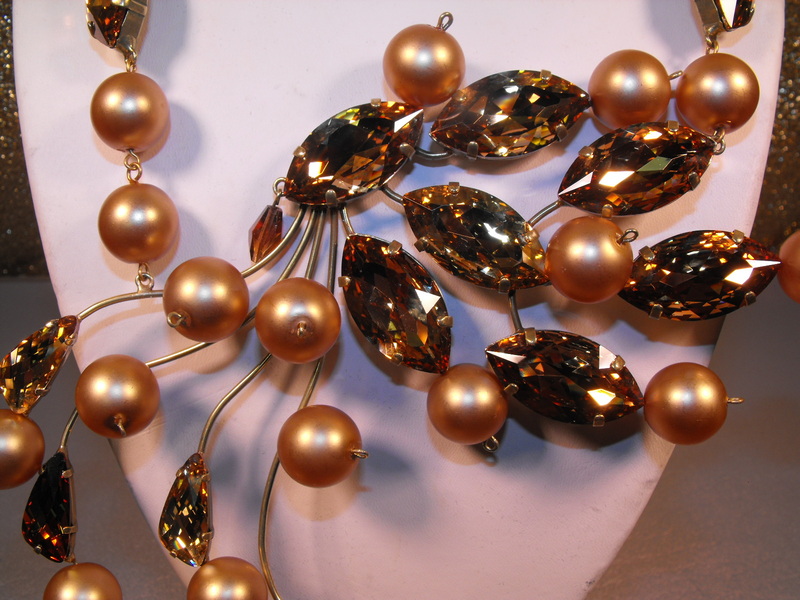 Here is a beautiful offset spray necklace in Champagne colored faux pearls and marquis cut Topaz colored crystals. 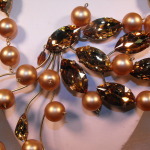 The center spray is about 7″ in width and the entire necklace is about 11″ long with a 2 ” extension chain. 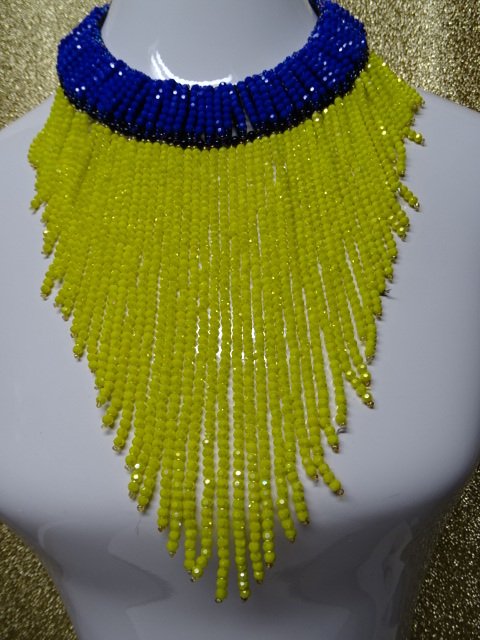 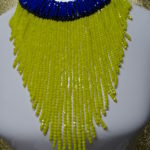 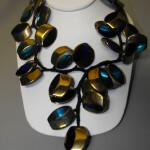 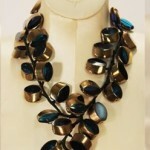 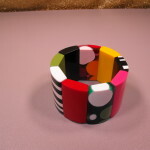 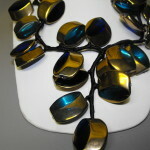 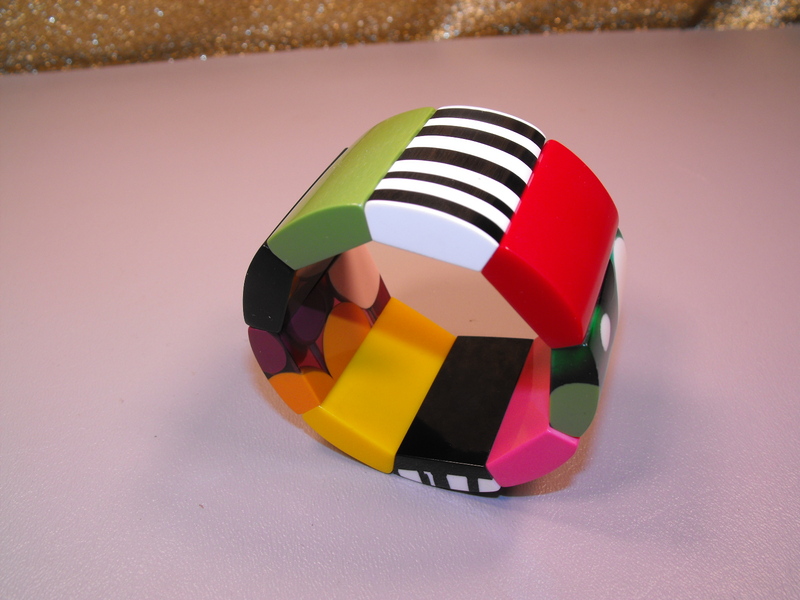 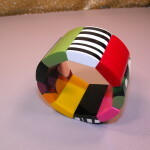 Perfect for making a statement this Fall & Winter especially during the holidays. 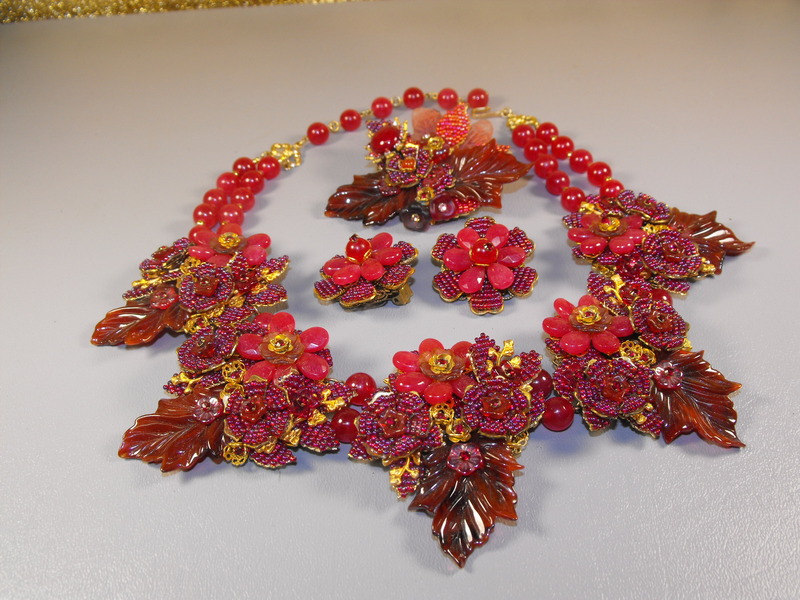 Varied shades of cranberry colored quartz accented with Russian gold filigree and seeded glass florettes make up this exquisite demi parure necklace, earrings, and pin. 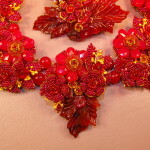 The set is signed in 5 places and was produced in the late 1980’s. 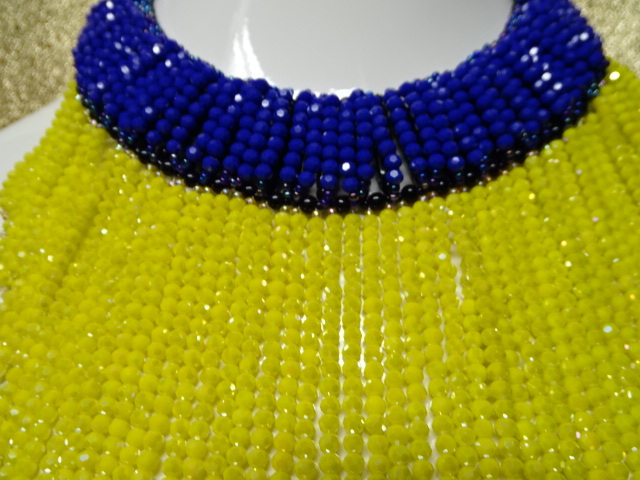 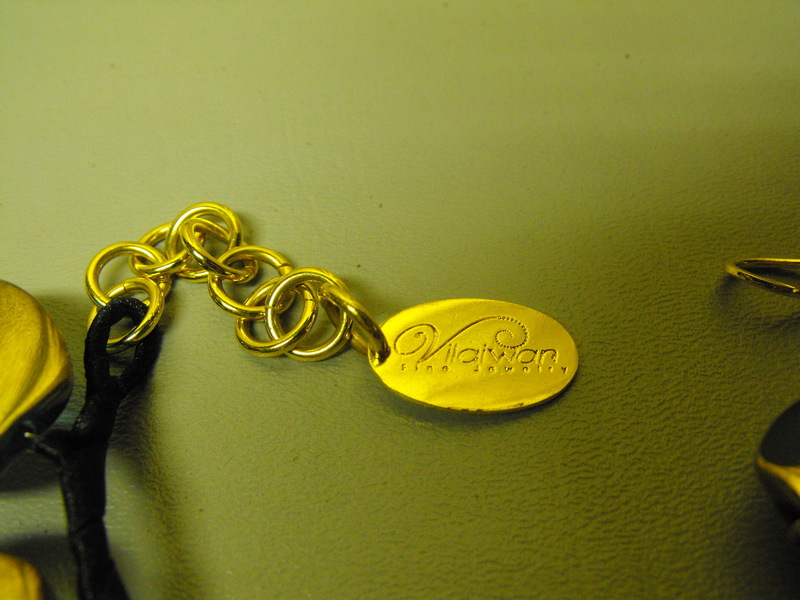 Each medallion in the necklace measures about 3″ in length and about 2″ wide. 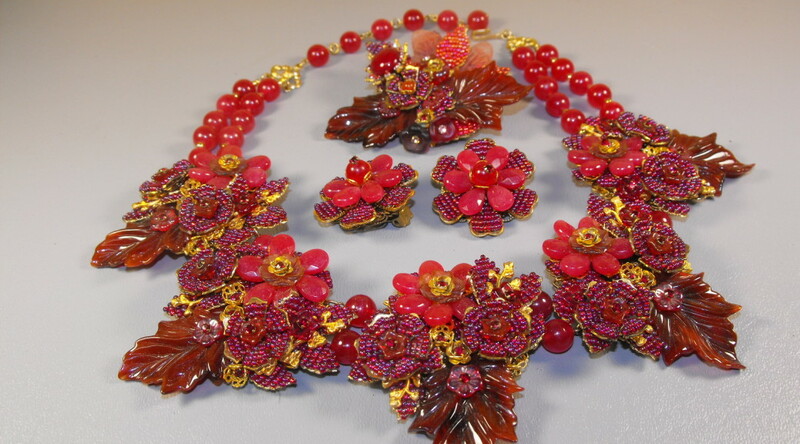 There are 5 medallions in the necklace accented with a double strand of cranberry quartz glass beads . 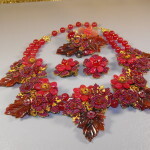 There is a very generous extension 3 1/2″ extension chain made up of 6 carnberry quartz beads. 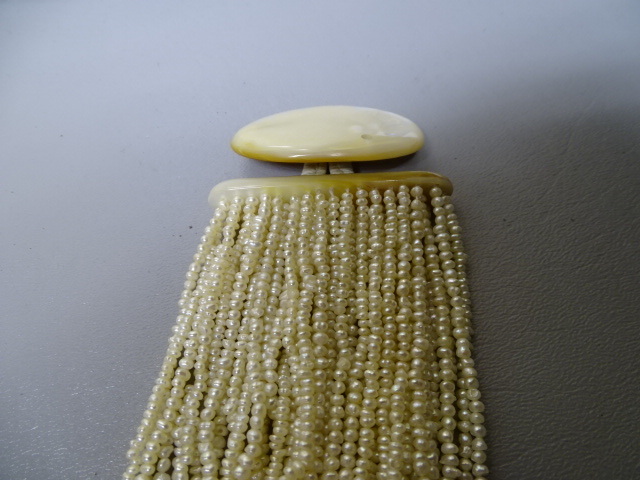 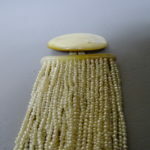 The pin measures about 2 1/2″ long and about 3 1/4″ wide. 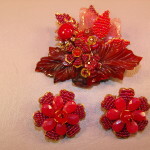 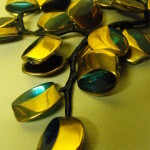 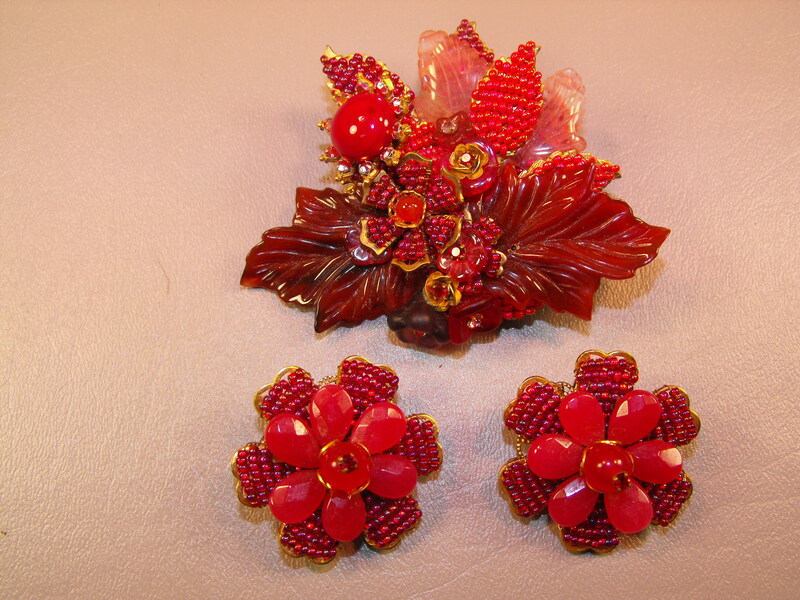 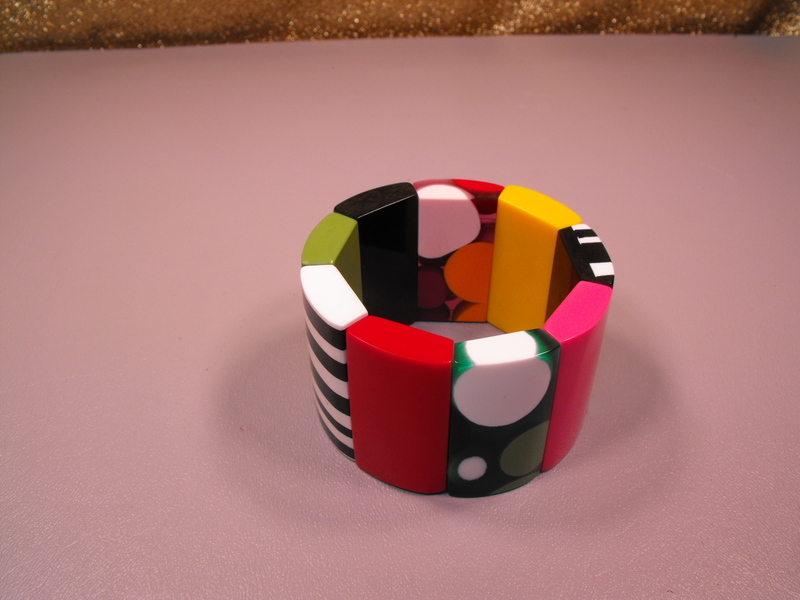 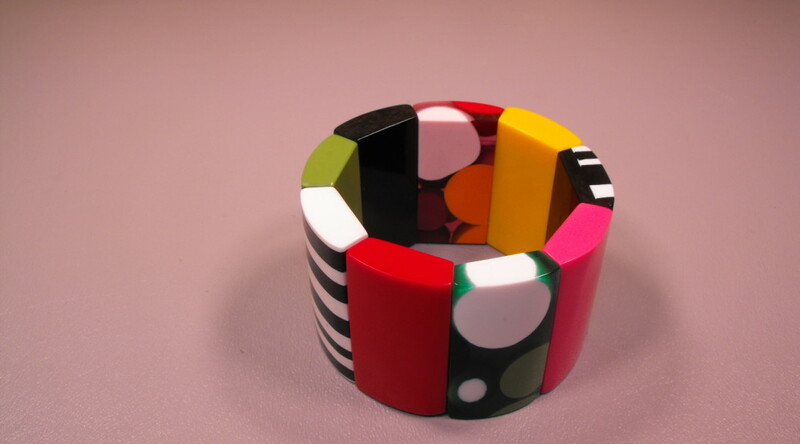 The earrings are clip on and about 1 1/2″ in diameter. 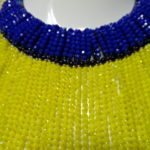 The attention to detail is absolutely spectacular. 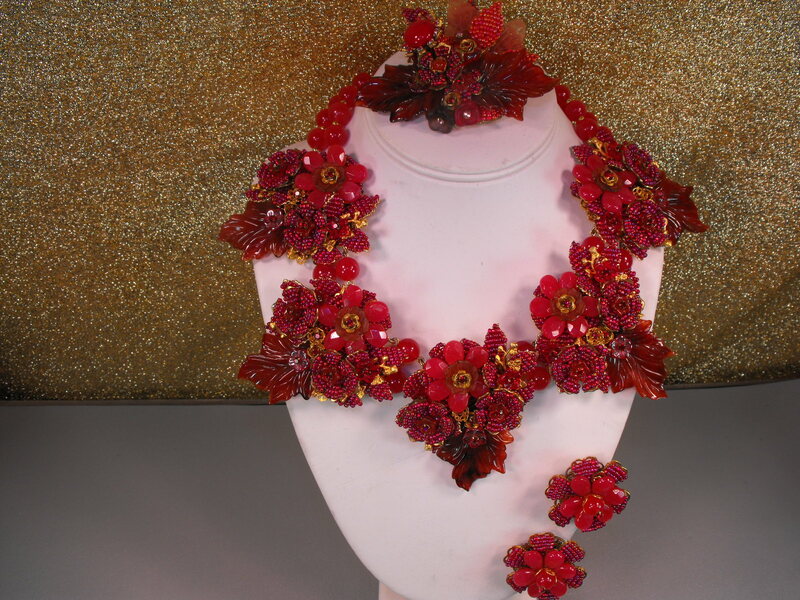 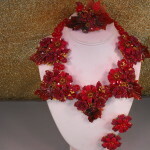 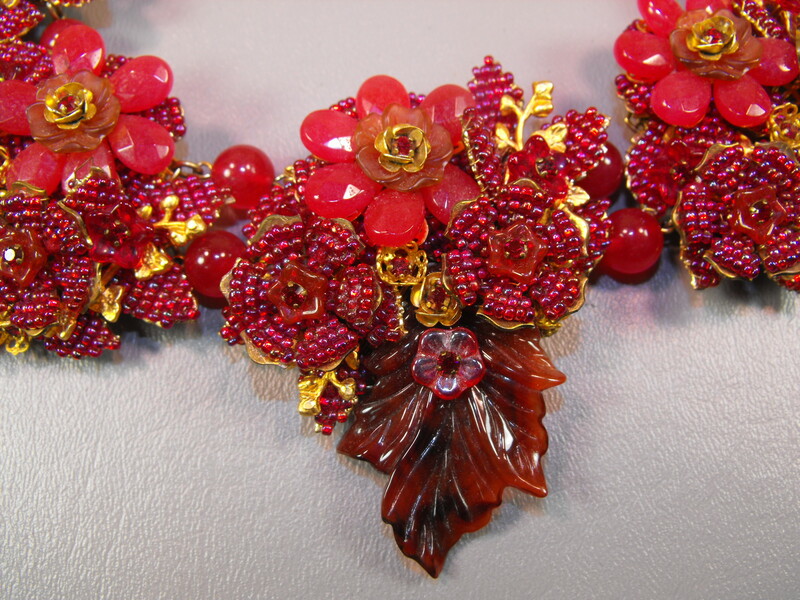 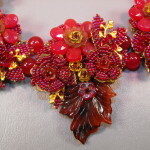 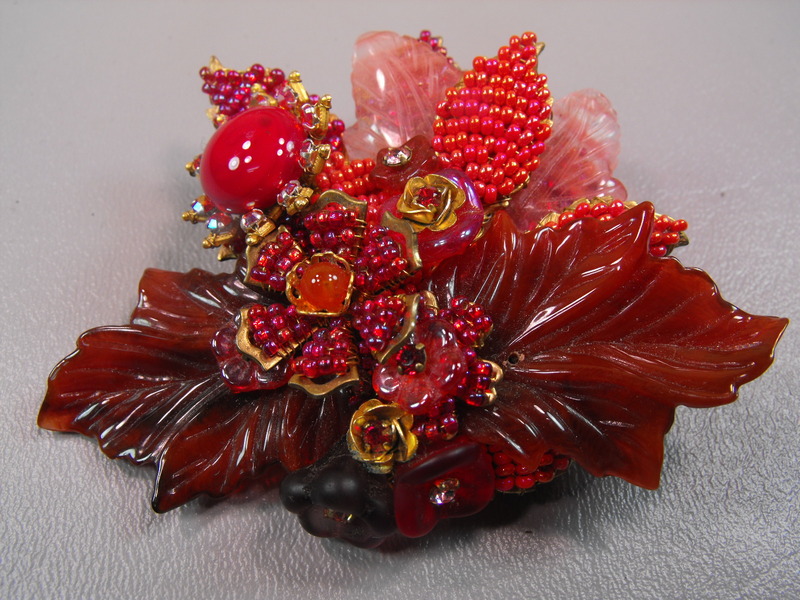 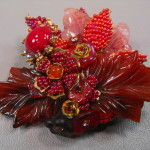 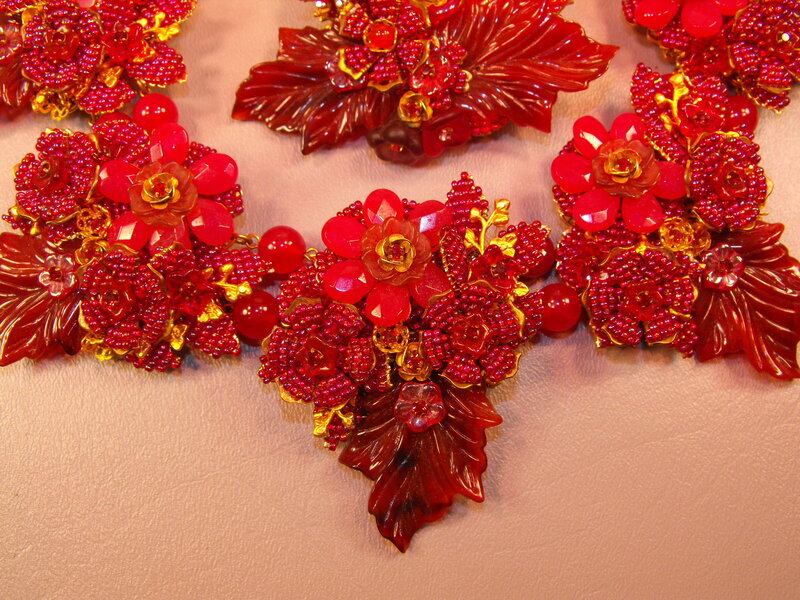 So, make a grand Thanksgiving Day statement by wearing cranberries instead of eating them! 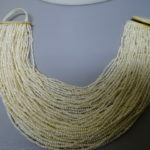 Condition: Previously worn, but in pristine condition.